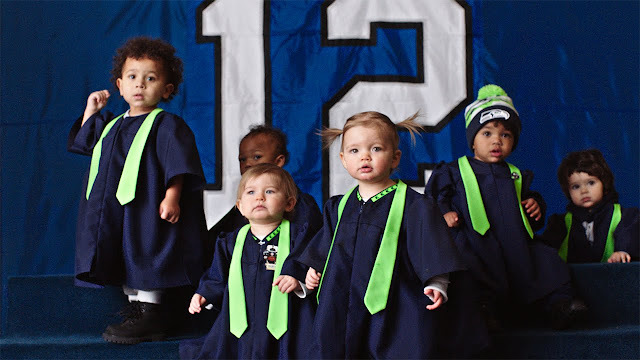 The "Super Bowl Babies Choir" commercial features babies, children and adults who were born nine months after their parents' favorite team won the Super Bowl. According to the NFL, birth rates in winning cities increase nine months after the big game. The ad also shows snippets of reactions to past wins to show the excitement that could have caused this surge. The NFL released the commercial on YouTube in an attempt to "recreate one of the greatest love songs of all time to celebrate the greatest game of all time." Music / Artist: Seal, "Kiss From A Rose"